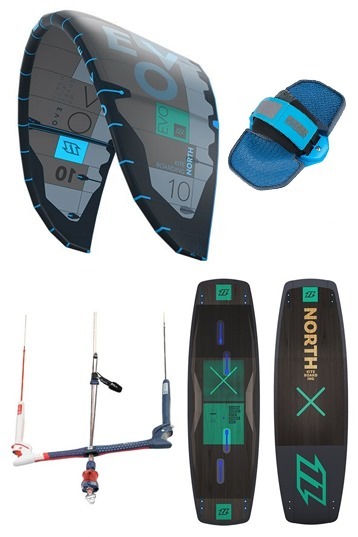 Simply put, the Evo is the all-round maestro from the North Kiteboarding range, guaranteed to get the job done! Any job. We’ve done things different by giving this freeride machine 5 struts instead of 3 struts, because we believe in it. Why? 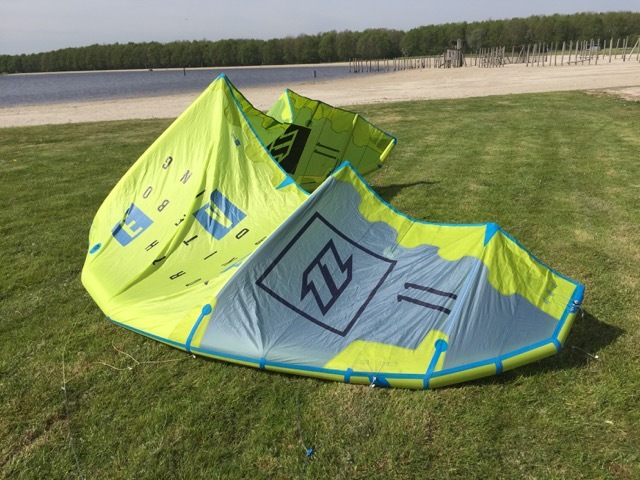 Because with our 5-strut design that has been refined year after year, we’ve achieved a kite that offers up an exceptional wind range, greater stability, superior depower and progressive sheet and go characteristics. If you’re looking for one kite to do it all then look no further, the Evo will have you flying high like Tom Hebert, coming in hot at the line-up and slashing waves or simply freeriding. For those looking to ride unhooked every now and again, it has just the right amount of freestyle performance you’re looking for. Riding waves, you’ll be surprised by the turing and drift. Delivering a precise and direct feel with power, whatever your style you’ll feel right at home with the Evo. 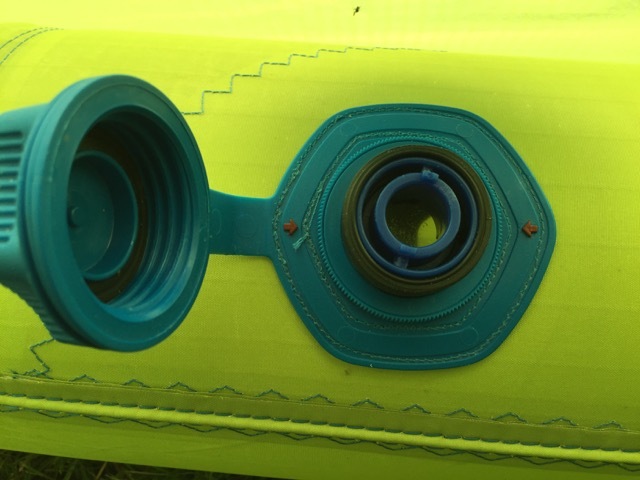 In addition to all its greatness, for 2016 it features the improved LazyPump system with a greater airflow; getting you on the water first. There are many kites out there that claim to ”do it all”, try the Evo and decide yourself what it can’t do! 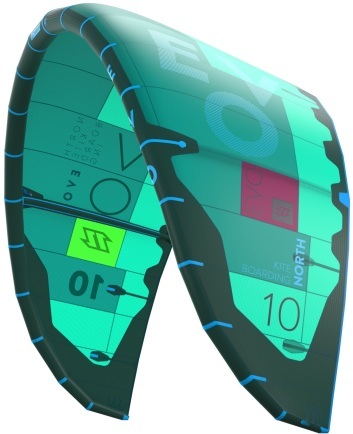 The Evo 2015 was the most viewed North kite serie in 2015. Why? Because it's a great ride in lots of conditions. Last year we tested the 9m Evo, we wrote about the high end performances. This year, it's all about softness and control. 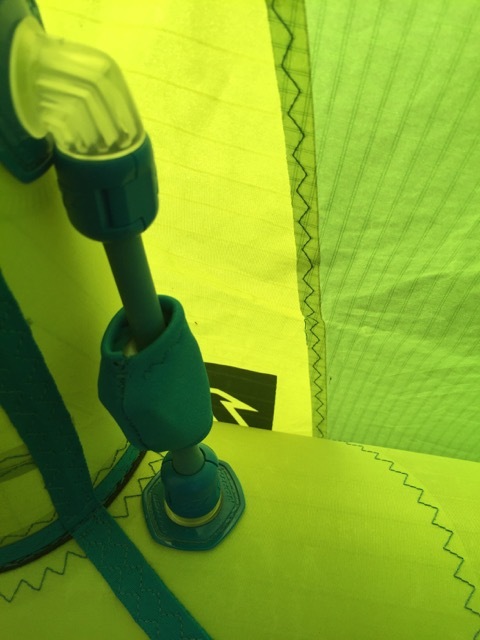 Did North change the kite feel or is it the kite sizes that made the 11m softer than the 9m? Compare the Evo with the other North series and this kite is the most versatile. The Rebel has a more explosive lift and more float, but less turning speed, the Neo is faster & has the better drift, but not the long high-end range and soft power control as the Evo. This Evo is great to go out anywhere, in all kinds of conditions. If you like to go more specific with a kite, know you most important kite characteristics and choose your best gear. The Evo has the intention to widen its wind window. This goes with a gradual power upload. 12m or 13m Evo on a Hydrofoil. The 13m has the better drift, more low end, more kite feedback and a bit more bar pressure. The 12m is a bit faster in reaction and has the better upwind performance on a hydrofoil. In low wind gusts both kites are very stable. If you like the fastest kite, go for the 12m. 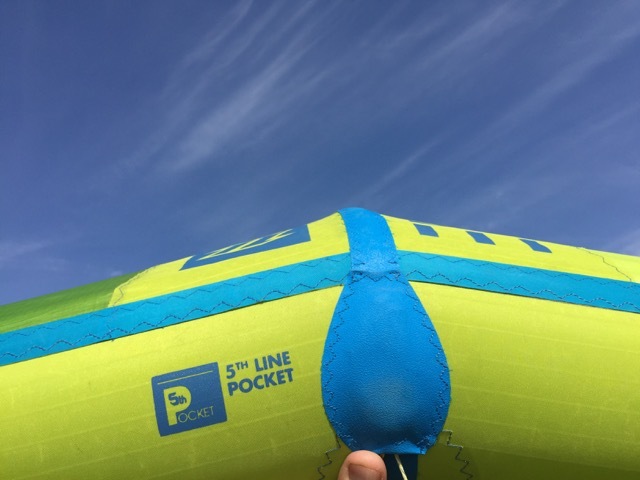 If you like more pressure and feedback the 13m is the best size. 12m Evo on a Hydrofoil. In gusty winds I tried the new North Evo on my Hydrofoil. Fun Foiling in gusty winds is all about controlling the 2 wings. Its about the synergy between the hydrofoil and the kite. With the hydrofoil you have so much more direction to ride too. The kite has to lead or follow. Sometimes you glide on the hydrofoil, the kite is following. Sometimes you need wind power and the kite is leading! This playful game between the wing under water and your kite wing in the air is a great new feeling. 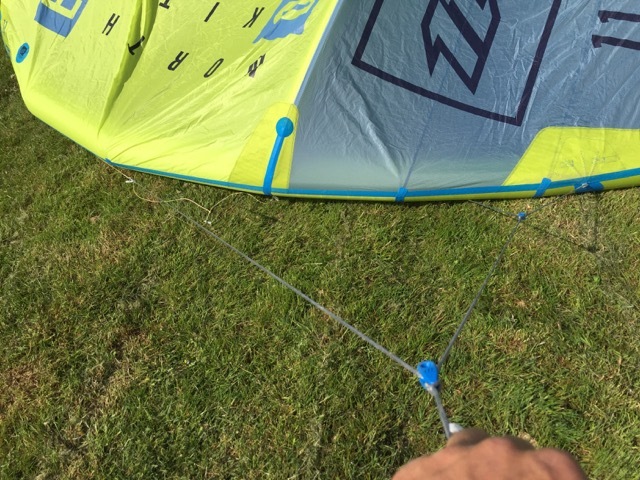 It also gives mid size kites (12/14m) a new position. You can use a 12m as the ultimate light wind kites on a hydrofoil or as a hang time kite in the higher wind range. 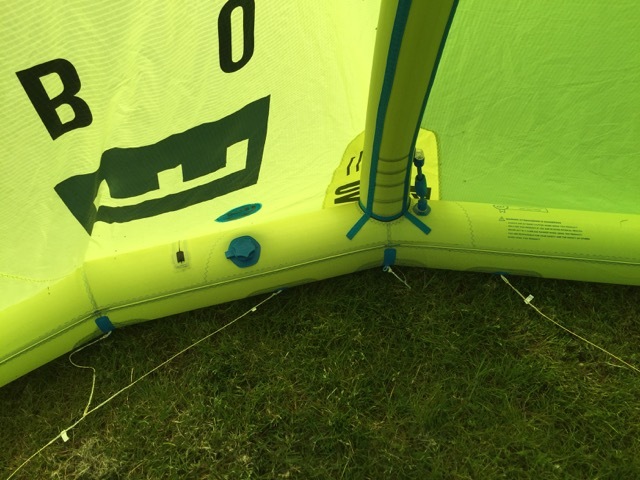 This small review is about light wind hydro foiling and I loved the trustfulness of 12m in gusty conditions. Stable, good power/depower control and fast steering to change kite position when needed. The drift can be a bit slow if yo go for the wider carving turns, down looping was the remedy! Neo & Evo. Had 2 sessions with the 7m North EVO next to the North 7m Neo. The big difference is the basic kite feel & handling kite characteristics. Where the Neo sits a bit more back in the wind window and generates a more all time grunt. 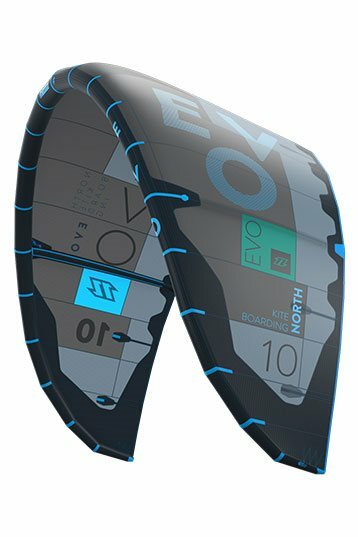 The EVO makes it wind window a bit wider, gives the EVO a basically lighter kite feel, easier upwind performance and more drive forward. The EVO 7m is also a bit more aggressive in its power. More explosive lift and boost. On the kite positions 9 or 3 O'clock the Neo has the tendency to fall back a bit, what temporize the turning speed. The EVO reacts direct and fast. Liked that fast reaction in the waves. For the Big Air the difference between the Neo and EVO was the more explosive lift of the EVO. The gliding phase was the 7m Neo better for my 91 kg weight. So heavier riders who like to go big and floaty! Take a bigger EVO size. No worries the feedback & depower will take care of the safety!